Based in Northampton, The County Clinic brings together the vast experience of its consultant surgeons to offer a range of medical and surgical treatments to its patients. 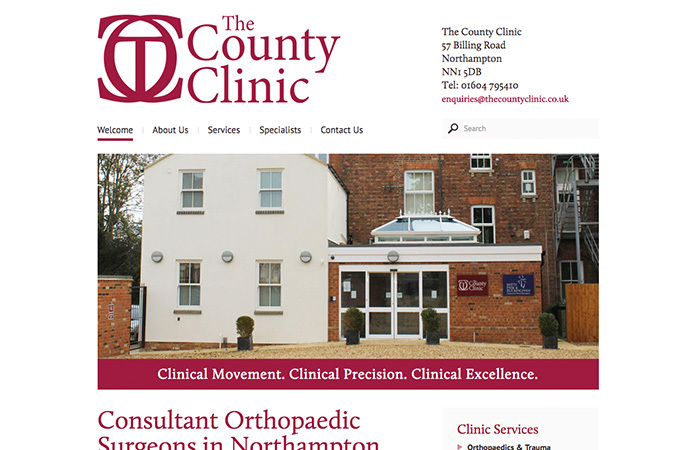 Having already had a logo designed, they were in need of someone to put together a website – something to promote their brand to patients and fellow practitioners in Northampton. The site features a simple design which clearly provides visitors with their location and contact details, along with details of the range of clinic services they offer.